For more information about opportunities in these areas, please contact the appropriate office. 2016-17 Office Interns at the AASHE Conference in Baltimore. From bottom to top: Diana Rowell, Hallie Nelson, Kaitlin Robb, Kenzley Defler, Kelsey Lawrence, Max Garcia, and Matt Preisser. The Office of Sustainability offers paid student employment opportunities each academic year beginning with the Fall semester in August. Positions are open to students who have sophomore, junior, or senior standing at the beginning of the academic year. Students from any academic discipline interested that want to make a difference by applying their talents, training, and skills in ways that will support Auburn University in its move toward sustainability are encouraged to apply. Office of Sustainability student staff have the opportunity to work on a range of individual and team projects. As such, we look for self-motivated, team-oriented, and collaborative individuals who are capable of independent work. Our expectation is that our student staff will commit to 10 hours per week while classes are in session. attend sustainability trainings & other events. We issue a call for applications each February, and make final decisions for the next academic year by the end of March. Announcements for applications are made via our newsletter, website, This Week at AU, and social media. For questions concerning the internship, please contact us. Each year we’re lucky to have a group of undergraduate students volunteer their time and talents to help achieve our mission. 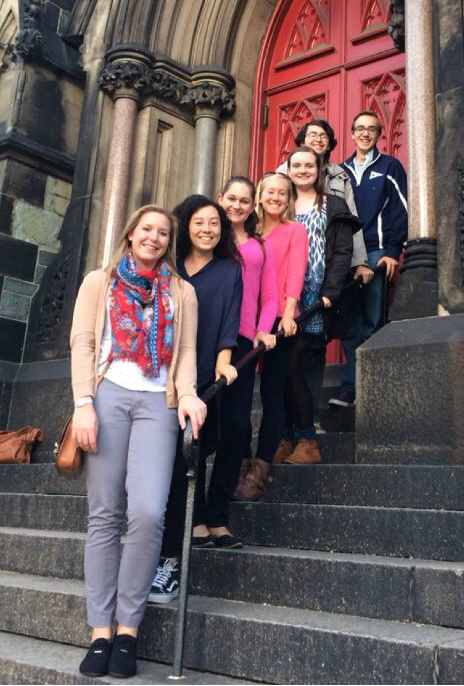 You can learn a bit more about this year’s group below, and of course, you can meet our prior year interns, too! Katy is a senior majoring in Industrial Design and unofficially minoring in involvement because she loves to be with people and to be doing things constantly. An ESFJ through and through, she gets her energy from being around other people, but when she does take her alone time, there is ceaseless music in the background and a candle burning. She is an only child, and her parents are the most supportive, encouraging, and live-music-loving people you ever met. Her love of music, learning and awareness was cultivated by her father, Doug, and her love of art, people, and compassion by her mother, Jill. Her parents instilled in her the simple value of taking care of the things we have, and as she has grown more and more aware of the issues facing our world on all fronts, Katy’s interest in sustainability has burgeoned into something that drives her daily life and future. Katy aims to continue to grow and utilize her passion for sustainability in her future careers, ideally working with a company whose emphasis and dedication to making their product or service more user and earth-friendly line up with hers. She is incredibly humbled by and excited about the opportunity to raise awareness about sustainability among the Auburn community and to learn more about how to better serve and love the world around her. 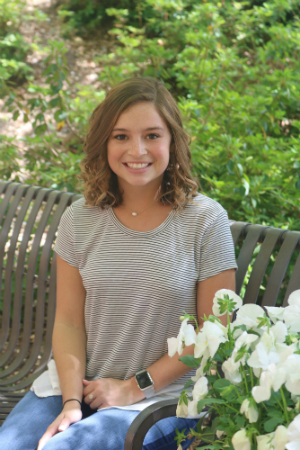 Sadie Gurkin in a junior majoring in Environmental Design with a minor in Sustainability with hopes of getting her Masters through Auburn’s Masters of Landscape Architecture Program. She grew up in Birmingham, Alabama and ultimately decided to break off from the path of her two older brothers, who both attended the University of Alabama, in order to pursue the opportunities available to her on Auburn’s campus. Her appreciation for the outdoors came as she spent summers with her family on the lake but it wasn’t until arriving at Auburn that she was introduced to Sustainability. Pursing a minor in Sustainability opened her eyes to the immense value and impact of its goals and the importance that these concepts be shared across campus with students of every discipline. As an intern with the Office of Sustainability, she looks forward to the opportunities it will provide to grow her understanding of sustainability beyond completion of her minor as well as the doors it will open to make connections with those on campus she may have otherwise never have had the chance to meet. Taylor Kraabel is a junior majoring in Industrial and Systems Engineering and minoring in Sustainability Studies. Before coming to Auburn, Taylor lived in Tullahoma, TN, but has lived all over the country as well. 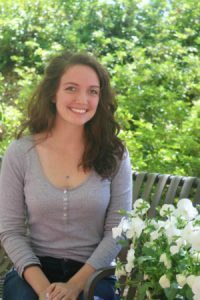 Her interest for sustainability began in high school when she and some friends formed a group that promoted sustainable practices on campus. Since then, her time working at a summer camp and her travels around the world have turned this interest into a passion. 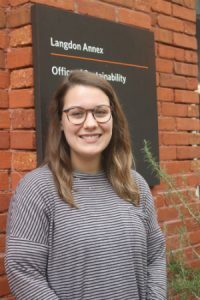 As an intern with the Office of Sustainability, she hopes to gain a better understanding of sustainable industrial practices and encourage the Auburn family to live sustainable lifestyles. Ginny is a senior majoring in Biomedical Sciences. She was born in Mobile, Alabama, and called the Gulf Coast her home for fourteen years. She moved to Montgomery, Alabama the summer following her freshman year and completed high school there. During the 2017-2018 academic year, she served as President for the Campus Kitchen at Auburn University. Through her work with Campus Kitchens, Ginny was introduced to the importance of sustainability practices not only in food recovery, but all areas of life. After Ginny graduates in May of 2019, she will pursue a gap year fellowship where she will apply the skills she acquired during her time as an intern. Following that gap year, she plans to attend professional school to work in the healthcare field. In her free time, Ginny enjoys being outside, especially when there is a dog around. She aspires to one day adopt an elderly shelter dog. Ginny would like to settle down in a rural area and maintain a farm. She looks forward to gaining practical knowledge about sustainability and encouraging others to implement sustainable practices in their lives. Ben Luebkemann is a second-year student from Illinois. He came to Auburn to study architecture and has since declared a minor in Sustainability Studies. 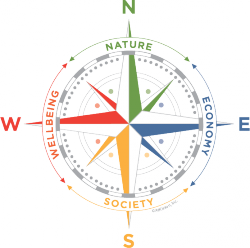 Ben’s interest in sustainability is rooted in a deep appreciation for nature, which arose during hiking trips to national parks across the country. In addition to his love of the outdoors, Ben has developed a growing interest in sustainable community planning. His coursework in sustainability has sparked this interest in the role of the design field in sustainable planning. 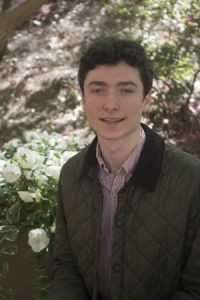 As an intern with the Office of Sustainability, Ben hopes to implement design thinking in order to approach challenges and promote sustainability in the Auburn community. Bailey Rathmann is a senior majoring in Biosystems Engineering and minoring in Business-Engineering-Technology. She is from Destin, Florida, where her interest in sustainability efforts started at a very young age. She witnessed first hand the impact the BP oil spill had on the lives of everyone in her community. By growing up on the beach, she understood the value and importance of maintaining the balance in our fragile environment. She has always wanted to pursue a career that could not only help people, but also to make the world a better place. In high school she was also involved with the leadership team providing food for families during the holidays. 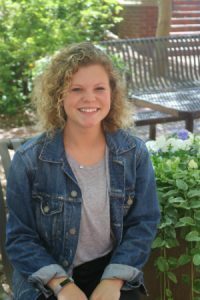 This passion for food insecurity has continued at Auburn where she is now on the Executive Board for Beat Bama Food Drive. This organization is focused on finding ways to address food insecurity in Alabama. As an intern, Bailey hopes to help others seek sustainable solutions and make Auburn more eco-friendly. Ferrell Sullivan is a sophomore in Environmental Design with a minor in Spanish. She was raised in Helena, Alabama just south of Birmingham, Alabama. Ferrell’s love for the outdoors and sustainability started with her admiration of her mother. She was raised going camping with friends and family on the weekends. Her mother taught her to never waste things and that recycling helps keep our environment healthy. As she came to Auburn, she became more aware of the interactions of humans and their environments. She fell in love with the systems involved and wanted to better and create those systems. 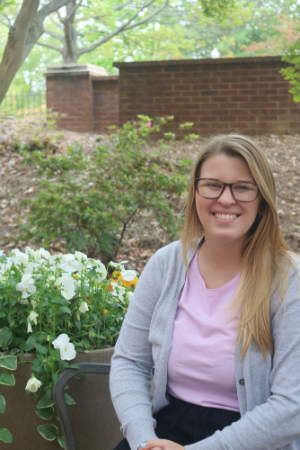 As an intern with the Office of Sustainability, she hopes to use sustainable knowledge and skills to incorporate it into the systems she introduces within her career. 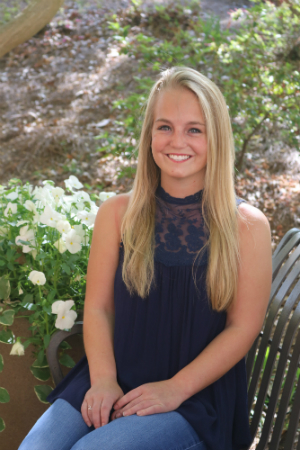 Michaela Walton is a Senior majoring in Communications with a minor in Sustainability Studies from Huntsville, Alabama. She became interested in sustainability after noticing the amount of waste that college campuses can produce and Auburn’s efforts to combat that waste. She’s always loved the outdoors and realizes the responsibility humans share in protecting it. 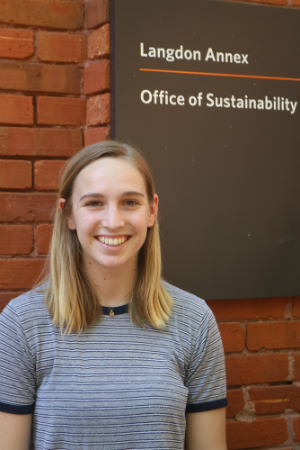 Through her internship with the Office of Sustainability, Michaela hopes to learn the skills necessary to spread sustainable practices to those who need it the most and help Auburn continue to be the most sustainable institution in the state.